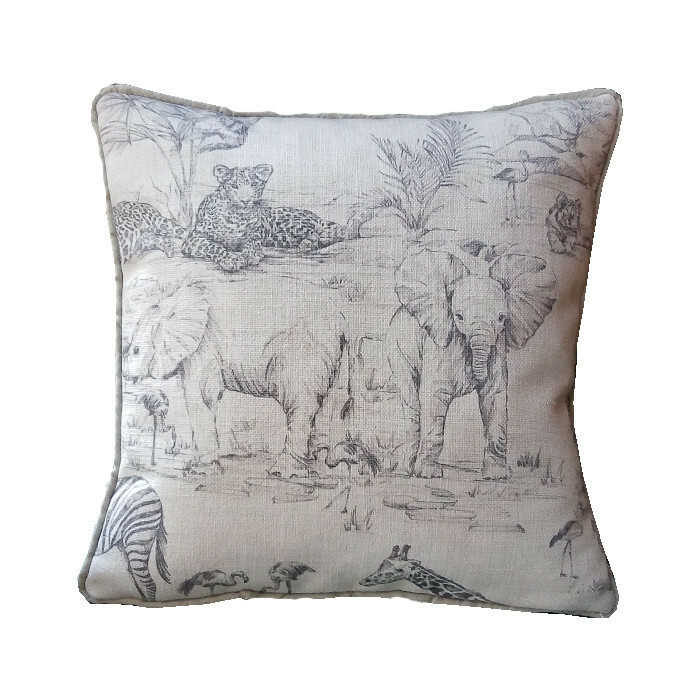 Jungle Love is centered around beautifully drawn scenes of wild life in soft charcoal & gray hues. 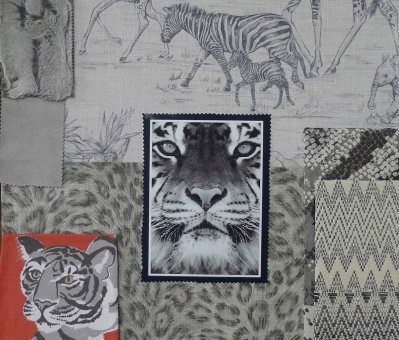 Coordinates include a tiger skin print, faux furs, suede, a woven serpent pattern and an unexpected tiger print in gray, black and a punch of red. Fabrics in this collection make excellent bedding, pillows, window treatments, upholstery and table linens. You can have a blast designing a custom look look for your shop or customer. There are so many ways to configure a wonderful bedding set – perhaps starting with a suede duvet or solid matelasse, a fur throw, a leapord headboard and dust skirt and then a variety of shams and pillows to complete the look. And don’t forget the window treatments – there are several excellent options among the fabrics in this collection. As with all our collections Jungle Love is made to order in West Virginia.